Agriculture is the most predominate activity in the rural areas of Uganda with land being the most needed resource to be utilised in order to produce food, some income after selling the surplus. Although most families in Uganda posses land, this is contrary to most Batwa families who either do not have land or have just a little for setting up a house and growing a few crops. This was as a result of gazetting Mgahinga and Bwindi National Parks by Ugandan Government in 1991. 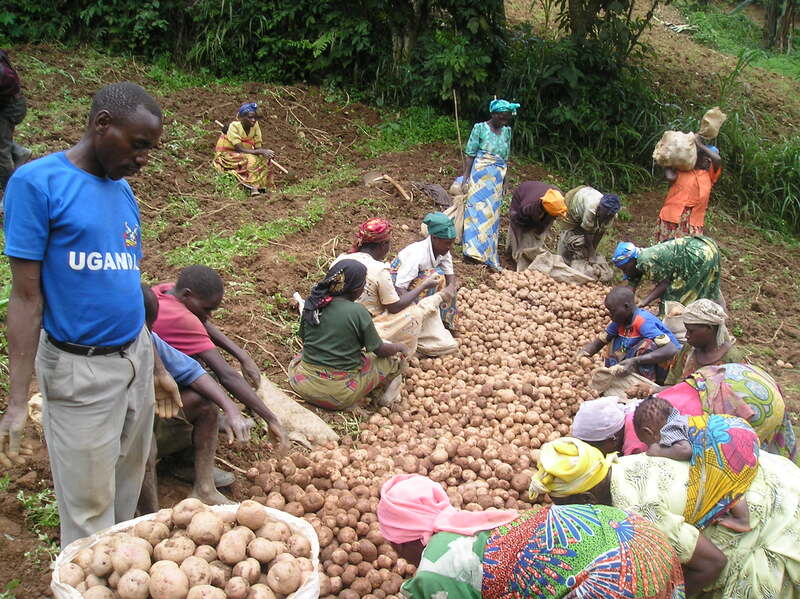 In 2008 Gorilla Organisation supported UOBDU to implement an agricultural project within six Batwa communities who are adjacent to National Parks. This project has started giving hope to the six communities. Since last season alone they were given 13 sacks of Irish potato seeds and were able to harvest about 72 sacks. Since the Batwa originally were hunter gatherers, agriculture is a new project they are doing. This project has however proven that the Batwa can cultivate like any other local community in the area despite the myth that Batwa are lazy people. What the Batwa miss are only resources in terms of land, tools, seeds etc. Although this project has improved the communities it is facilitating, it still leaves out about 15 Batwa communities in Kisoro District un attended to which needs your intervention. Together we can make a difference and support Batwa through their own organisation UOBDU. Gatera Batwa community harvesting Irish potates.